Have you always wanted to try your hand at rally driving? 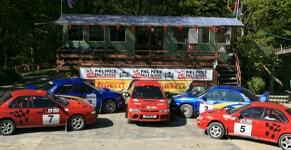 Simply book one of Phil Price Rally School’s epic driving experiences and drive away those post-summer blues. We have three-miles of rally stages awaiting you along with a team of highly passionate instructors. Whether you have some previous experience of rally driving or trying it for the first time, we will make sure you have the best experience imaginable. 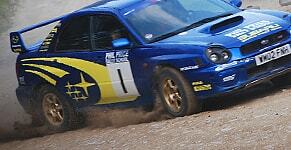 We also have four fully prepared Subaru rally drivers waiting to have you behind the wheel. Our instructors will explain all the techniques needed to master rally driving, explaining approaches to corners, braking techniques and corner lines. We guarantee that you’ll leave with a hunger for more! Our One Day Intense Course offers unrivalled amounts of driving time, along with plenty of one-to-one tuition. At the end, you’ll get to compete in a competition against other rally drivers. Will you be the one to take home the winner’s trophy? Running from 9.30 am to 4.30 pm, this course will give you a real chance to drive rally cars on genuine forest stages. There’s no better way to forget your troubles and experience some high-octane driving. Discover more about booking our driving experiences today.